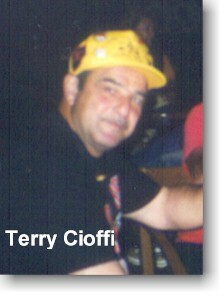 Terry Cioffii resides on Staten Island, NYwith his wife Concetta. He has contributed 21 pictures taken at the Reunion in Eugene, Oregon of the 11th ACVVC in August of 2003. Most all of the photos are of K Troopers and their wives, family and friends.